There are many sorts of people with varieties of talents who had proved themselves in the world of music. There are some singing divas who are not only popular for their melodious voice but also for their hot and seductive outlooks. Here is the list of those world’s top 10 most popular, famous and definitely the richest singers in the female category. These ten richest female singers 2019 are the jewel of the music industry and have won millions of hearts across the geographies with their silken voice, melodic abilities and the oomph factor. Stefani Joanne Angelina Germanotta aka Lady Gaga was born on 28 March 1986 in Manhattan, New York. She is an American singer, actress, songwriter, philanthropic and record producer. Her career began from the year 2005 when she was 19 years old. She started recording songs with a well-known hip-hop musician Grandmaster Melle Mel for the audio version of a children’s book ‘The Portal in the Park’. She also founded a rock band called the Stefani Germanotta Band or the SGBand. She then started working for the ATV music publishing company as a songwriter. She was then noticed by the recording artist, Akon, who helped her join with the Interscope Records. Her wide range of successful albums includes Born This Way, The Fame, and Artpop. Lady Gaga’s philanthropic works include her Born This Way Foundation and the LGBT rights. Born on May 20, 1946, in El Centro, California, U.S., Cher is an American actress, singer, author, businesswoman, dancer, comedian, fashion designer, model philanthropist, songwriter, record producer and a television host as well. She is very popular for her contralto singing voice and is also called as the Goddess of Pop. She has also acted in many plays including the ’Dime and Jimmy Dean’ and ‘Come Back to the Five’. Some of her hit films are ‘Mask’ and ‘Silkwood’. 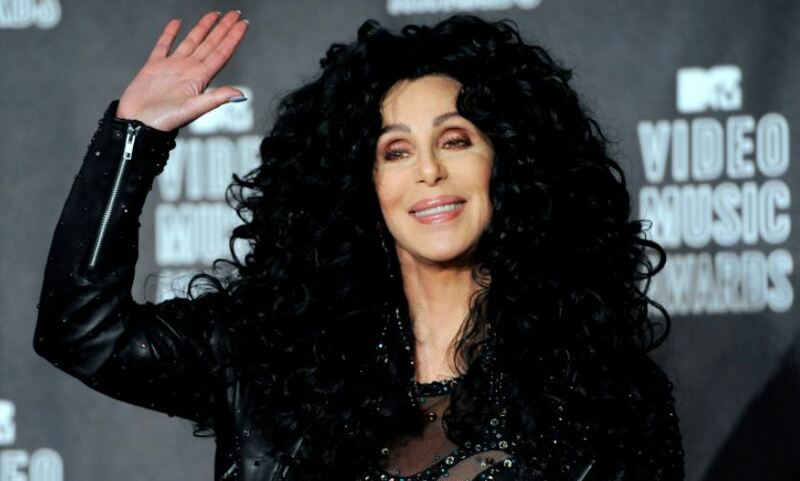 She has also released many hit songs including ‘Cher’, ‘Love Hurts’, Heart of Stone, and Closer to the Truth. The Grammy award winning artist, Cher, owns a net worth of $305 million dollars which makes her the ninth richest female singers in the world. Jennifer Lopez was born on July 24, 1969, in Bronx, New York, U.S. She is in the eighth position in the list of top 10 richest female singers in the world. She is a versatile singer, dancer, actress, designer and a producer as well. She played her first leading role in a movie named “Selena”. She has contributed a lot in the music industry while covering almost every genres including R&B, hip-hop, Latin pop, dance, salsa, and rock. Lopez has been highly influenced by some of the artists like Tina Turner, Michael Jackson, James Brown, Barbra Streisand and Madonna. Her name is being counted among the top richest females in the world with an estimated net worth of $315 million dollars. Barbra Joan Streisand aka Barbra Streisand was born on 24 April 1942. She is from Brooklyn, New York. Barbara is a very popular and versatile singer, songwriter, filmmaker, and an efficient actress as well. With a career which is spread over six decades, Barbra has excelled herself in multiple entertainment fields. She has been honored by numerous awards including the Grammy Award, Academy award, Golden Globes award, Peabody award, and much more. More than 68.5 millions of her albums has been sold in her nation. As an actress, she has starred in many films including ‘Funny Girl’, ‘A Star is Born’ and ‘The Owl & the Pussycat’. Barbara owns a net worth of $340 million dollars making her the seventh richest female singer in the world. The sixth richest singer in the world, Eilleen Regina Edwards, professionally known as Shania Twain, was born on 28 August 1965 in Windsor, Ontario, Canada. She is a Canadian songwriter and a singer as well. At the age of eight, she started singing in a nearby bar to help her family and feed them. At the age of ten, Eileen wrote her first songs- “Is Love a Rose” and “Just Like the Storybooks”. She was approached by a cover band called “Flirt”, which was led by Diane Chase and toured all over the Ontario. On 20 April 1993, her self-titled debut studio album “Shania Twain” was released in North America and gathered her many audiences outside Canada. She also released her hit singles-“What Made You Say That”, “Dance with the One That Brought You” and “You Lay a Whole Lot of Love on Me” in the same year. It was also certified platinum by the RIAA after five years. Shania also made television appearances on some shows such as Late Show with David Letterman, the American Music Awards, Blockbuster Music Awards and the Billboard Music Awards. The sources have stated that Shania’s net worth currently reaches to an impressive $350 million dollars. Eight Grammy award winning artist, Dolly Rebecca Parton Dean was born on January 19, 1946, in Sevier County, Tennessee, U.S.A. She is an American businesswoman, singer, songwriter, record producer, multi-instrumentalist, author, actress as well as a philanthropist. Parton was primarily known for her various works in country music. More than 100 of her singles have ranked number one in the charts for over the past four decades. Besides these, Parton has composed over 3000 songs in her music career. She has acted in many movies including “The Best Little Whorehouse in Texas”. Apart from the Grammy award, she has also received a total number of 10 Country Music Association Awards, and 3 American Music Awards. Her total net worth is estimated at $450 million dollars, making her one of the richest female singers in the world. Mariah was born on March 27, 1969, in Huntington, New York, U.S. She is a versatile singer, actress and record producer. She earned her name from one of her debut album named “Vision of Love” and is considered among the best selling artists in the musical history. Her voice has a vocal range of five-octave with melismatic style. More than 200 millions of her records has been sold internationally. She has received many awards including five Grammy awards, nineteen World Music awards, fourteen Billboard Music awards and eleven American Music awards. Her net worth is estimated at $535 million dollars. Beyoncé Giselle Knowles was born on September 4, 1981, in Houston, Texas, U.S.A. She is the worldwide known actress, singer, and songwriter. She started singing and dancing when she was a mere child. Beyonce rose to prominence in the late 1990s when she became the lead singer of an American girl-group Destiny’s Child. She released her first debut album called the ‘Dangerously in Love’ in the year 2003. The album established her as one of the best solo artist worldwide and earned her five Grammy Awards. Besides singing, she has also performed many roles as an actress in movies including ‘Dreamgirls’, ‘The Pink Panther’, and ‘Obsessed’. As a solo artist, over 100 million records of hers has been sold globally. She is the third richest female singer in the world with a net worth of $536 million dollars. Céline Marie Claudette Dion was born on 30 March 1968 in Charlemagne, Quebec, Canada. She is a well known French Canadian businesswoman and singer. She is widely known for pop music. Some of her hits include “It’s All Coming Back To Me Now”, “The Power of Love”, and “Nothing Broken But My Heart”. More than 200 millions copies of her records have been sold internationally. During her musical career, Celine has won 5 Grammy awards and was also honored by the Phonographic Industry. With a net worth of $700 million dollars, she is considered as the 2nd richest female singer in the world. Madonna Louise Ciccone, the “Queen of Pop” was born on August 16, 1958, in Bay City, Michigan, U.S.A. She is a popular singer, songwriter, businesswoman and an actress as well. She is a role model for many artists. According to the Guinness World Records, she is considered as the best-selling female music artist in history. Over 300 millions of her records has been sold world-wide. Some of her hit albums include her self-titled album ‘Madonna’, ‘True Blue’, ‘Like a Virgin’, ‘Erotica’, ‘Rebel Heart’, ‘Bedtime Stories’, and ‘Ray of Light’. She has been honored with Video Vanguard Award, twenty MTV Video Music Awards and much more. Her total net worth is estimated at $800 million dollars, which makes her the world’s richest female singer. Hence, these were the top 10 Richest Female Singers in the world according to the records of 2019. They not only rely only on their music career and have acquired fame only in the field of music but also in the field of acting, modelling and in the business world as well and had a massive success across the world. Taylor Swift has a Net Worth of $320 million. She definitely has to be places here, I mean her Reputation Stadium Tour is the most grossed tour of the decade. She definitely deserves a place here. I believe Madonna is actually worth more than the reported $800million! Gloria Estefan should be listed as well. How can you not add her??? Carrie Underwood is my favourite country singer. She is young, beautiful and charming woman in her 30s. Her voice takes me away from all troubles of this world and I can enjoy my life and listen songs created by her. Now the singer is on a Cry Pretty 360 Tour started in May of 2019. The concerts scheduled for this year, up to the last day of October. Tickets are available for all men and women with different income. If you love country music as mush as I, then you must visit at least one of her concert. All tour dates are available at the Carrie Underwood tour Ottawa. Open the website and make yourself familiar with all powerful Carrie Underwood concerts in 2019!